One of the most important and often forgotten chores around the house is changing the return air filter for your air conditioning system. Forgetting to replace your return air filter on a monthly basis can lead to some serious health hazards as well as major repairs for your air conditioning system. This is due to how filters work. Filters are meant to allow air to freely pass through them well capture dust, dirt, harmful bacteria, and other indoor air pollutants. Overtime the filter will reach a point that it can no longer hold any indoor air pollutants. When this happens the air that passes through the filter will not be cleaned and if the filter is to clogged it may create an airflow restriction. This restriction of airflow can cause serious damage to your air conditioning system and lead to costly repairs. This is why we recommend the Honeywell Media Filters for our customers. By installing a Honeywell Media Filter you are not only capturing 10 times the amount of indoor air pollution particles you are also saving money. The Media filters unlike regular filters only need to be replaced once every six months. Contact us today if you would like to learn more about the benefits of cleaner air or the Honeywell Media Filter. Electronic air cleaners come in many different forms. Some have UV Lights to neutralize bacteria and destroy harmful indoor air pollutants. Others use a process called ionization to clean your air. 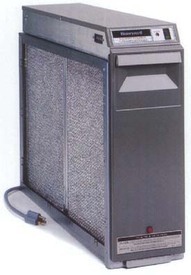 We recommend the Honeywell Electronic Air Cleaner. This air cleaner utilizes a UV light to clean your air and reduce the amount of indoor air pollutants in your air even further. 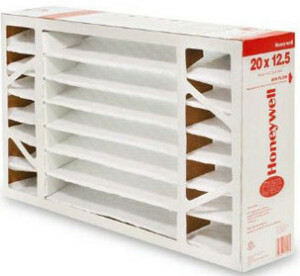 It also comes with the Honeywell Media Filter making this a great product for those that suffer from allergies. For more information about electronic air cleaners or to get more information about which indoor air quality product is right for you contact Ken’s Heating And Air today.